For a number of years, the San Diego Family Law Bar Association’s predecessor, the San Diego Certified Family Law Specialists, provided annually an award of $2,500 to a deserving local law student who exhibited an affinity for family law and who intends to make a contribution to the local practice of family law. The SDFLBA continues that tradition. 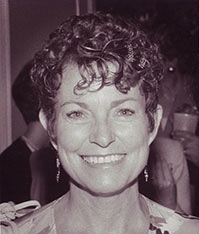 The scholarship is named for a well-respected and well-loved San Diego family law attorney, Bonnie Nelson Reading, who left us while still in the prime of her life on September 25, 1995. Bonnie was a proud graduate of Cornell University, from which she received a BA in 1964. She subsequently graduated from Fordham University School of Law where she was a member of its Law Review and was admitted to practice in New York in 1971, and in California in 1972. Bonnie was extremely active in the professional life of San Diego. She sat on the Boards of Directors of the San Diego County Bar Association, the San Diego Trial Lawyers, the Lawyers Club and the San Diego Bar Foundation. She was a founder of the San Diego Chapter of the American Inns of Court, and was a frequent and sought-after lecturer on family law. She was active at the State Bar level as well, having been a member of the Family Law Section Executive Committee, the Family Law Advisory Committee and the Board of Legal Specialization. She was listed in Who’s Who Among San Diego Women. She was a partner at Seltzer Caplan Wilkins & McMahon, a Certified Family Law Specialist and a Fellow in the American Academy of Matrimonial Lawyers. 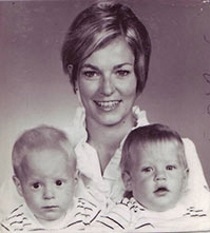 Bonnie was a devoted and supportive mother to her twin boys. She proudly included on her resume that she was on the Board of Directors and Head Scorekeeper for her boys’ Little League, Pony League and Colt League teams. But it was Bonnie’s personality and skill as a family law attorney which set her apart. Her warm elegance and civility were matched only by her abilities to persuasively advocate for her clients. A highly respected litigator, she was even more skillful as a negotiator. She wielded the proverbial iron fist cloaked in the velvet glove. She was graceful and classy and fun to be around. It was a privilege to know Bonnie, and the recipients of the award given in her honor should understand that it is indeed a privilege be associated with her name.